Atari recently updated the internal hardware spec of the VCS. The biggest change was the signalled move to a more modern AMD APU; one packing Zen CPU cores, and Vega GPU cores. Just ahead of the weekend it revealed some further updates, largely to do with the physical design of its revamped 'Video Computer System'. In a new blog post hosted by Medium, the Atari VCS team reveals that "Now that we have finalized our upgrade to the new AMD Ryzen chipset, the Atari VCS team is excited to unveil a number of other changes and improvements." Chief amongst the design tweaks to the "amazing retro-futurist design" are choices that make the new VCS an even better 'tribute' to the original. In the picture above you can see the old-ish vs new, and what has most notably changed is the 'floating effect' introduced in these newest renders of pre-production consoles. With the floating aesthetic implemented, the design team was pleased that the re-location of USB ports was facilitated. Now, instead of 4x USB 3.0 ports on the back, there will be two on the back and two on the front. It is admitted that the original Atari VCS, pictured below, had no front facing ports but the designers thought they enhanced usability greatly. Following the movement of the USB ports, "the SD card port was redundant," assert the modern VCS designers. They reason that standard USB A storage devices are ubiquitous and most other modern consoles don't bother with SD storage. Lighting had undergone a change too. Previously you will have seen VCS renders with a red Fuji logo and a set of four LED indicators on the front of the unit. Atari has now settled on all Fuji logos being white, while removing LED activity status lights from the console completely. Production of the finalised VCS will be simpler. 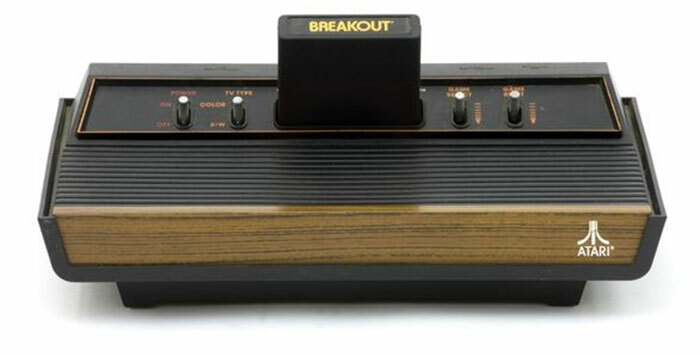 The original concept created the console out of 16 individual layers, plus front and rear housings. This has been pared back to just four parts; top bottom, front and back. The designers say the new product will be stronger, use less material, and have better assembly times and consistency. The front facia will still be available in a choice of 'wood facia' for the Collector's edition, or Black for the Onyx model. Lastly, the dimensions of the re-designed Atari VCS are 12.3 x 5.9 x 2.0-inches. This compares to 14.5 x 5.3 x 1.6-inches previously. Atari's new VCS will become available from late 2019. Before the machine becomes available we are promised further updates on topics such as the internal hardware spec, thermal management, controller specs, game and media partnerships, and developer tools. Most folks who play consoles are either in the Xbox, PS or Nintendo ecosystems. It's imagine most of those (me included) wouldn't get the Atari due to that. And the fact that, on Xbox at least, there are many Atari classic compilations. Not sure what this Atari will bring to the table. I had a VCS2600 back in the day but Xbox and PC has everything I need. God I'm having flashbacks of playing the original Atari, it made me the gamer I am today I guess. New one looks great, but as mentioned it's going to be a very niche product considering the bigger three players in the market. Like everything it'll depend on the price and the games available. If it could access Steam …. I wait to hear news of Circus Atari with raytracing support.